Revised and Updated Version of the Leadership Classic. 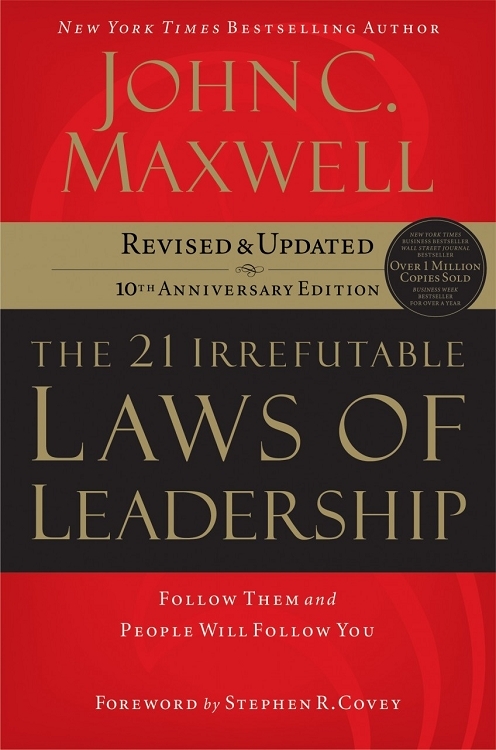 In The 21 Irrefutable Laws of Leadership, John C. Maxwell combines insights learned from his 40-plus years of leadership successes and mistakes with observations from the worlds of business, politics, sports, religion, and the military. Two chapters - "The Law of Addition" and "The Law of the Picture" - are entirely new. Seventeen new stories are included. Six chapters are 50% revised. Five chapters are 75% revised. So whether you reading this book for the first time or re-reading the revised and updated version, as always, you will walk away with a few golden nuggets of impactful leadership truths.